The special of the day was Razor Clams. I love Razor Clams. As I walked up to the window I was greet with a smile and an apology. They were out of Razor Clams. Dang!! Now like any good establishment with great customer service, I told her she would need to win me over with something else. Without skipping a beat she presented many other great options that were also the popular items. She made it all sound so tempting I decided to stay and try something else. 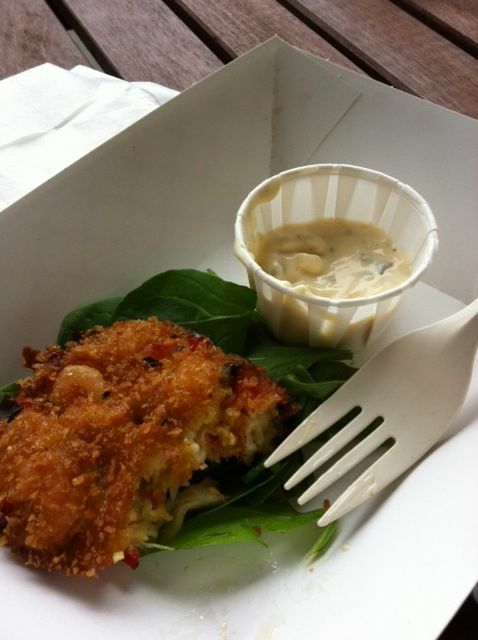 Seafood Crab Cake. Nice and crusty on the outside, loaded with seafood on the inside. I ordered the Seafood Cakes $3 and the Seafood Louie $5. The lady said she was raising the heirloom tomatoes that she was using in the Seafood Louie. What’s not to love about that? I love Crab/Seafood cakes, but I am pretty picky about these. I don’t want mine with tons of breading with a hint of seafood. I want enough breading to hold all that seafood together. 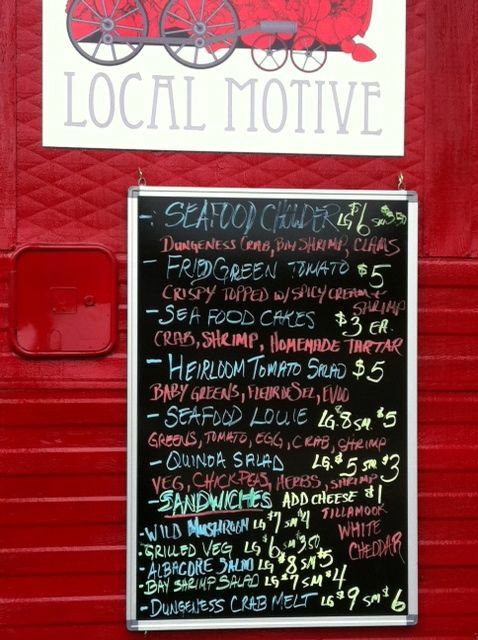 At Local Motive, they do just that. It was full of seafood, and the Seafood Louie was such a great accompaniment. The tomatoes were so sweet. It was the perfect little lunch. On my way out, they asked me what I thought. Again, great customer service. I commented on how perfect the Seafood cakes were. Had I gone to a sit down restaurant and ordered those same Seafood Cakes they would have set me back at least$5-$6 each, plus tip. So I felt like it was a steal at $3. I need to go back so I can try the clam chowder and the Dungeness Crab Melt. Atmosphere was a very laid back food pod (as opposed to the hustle and bustle of the downtown ones), clean area and each cart had their own tables to sit at. Pricing was great. The seafood was all fresh, so it’s worth it. Not sure what the drinks were, we just got water. Located at Moody and Abernathy. 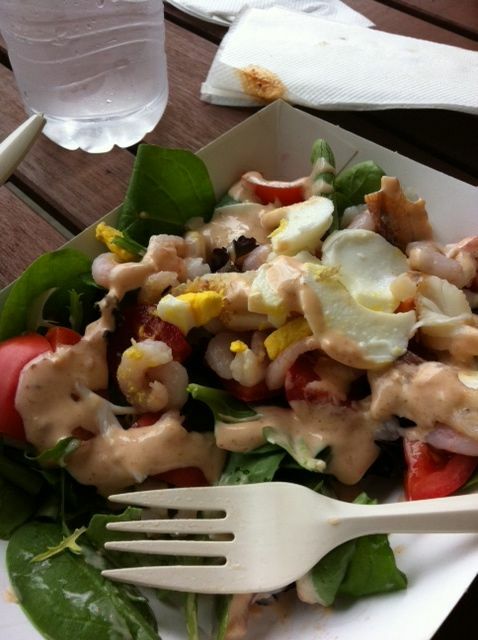 Thank you for the wonderful review and taking such wonderful photos of our food!!! Would you mind if we used them on our facebook page? Yum! Sounds like a place I need to try!